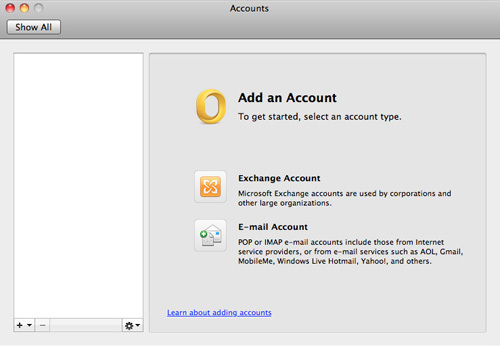 This document explains how to set up Microsoft Outlook and access your Exchange account. 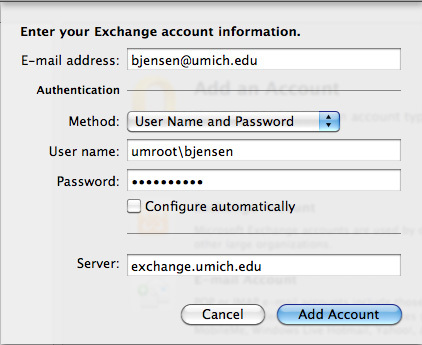 Note Do not use Automatic Configuration as it will configure to connect to U-M Google Mail and not to Exchange. Specific to the Exchange Service provided by ITS. Some campus units offer their own services that require different configuration information. 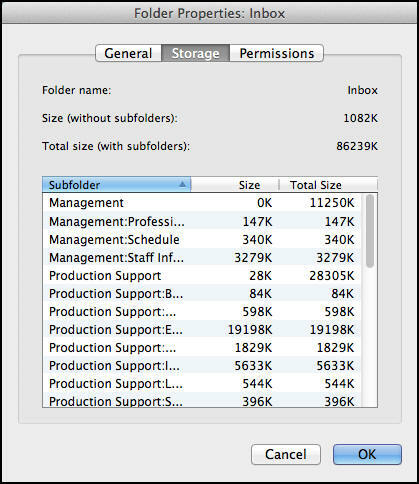 Based on Outlook 2011 in Snow Leopard. 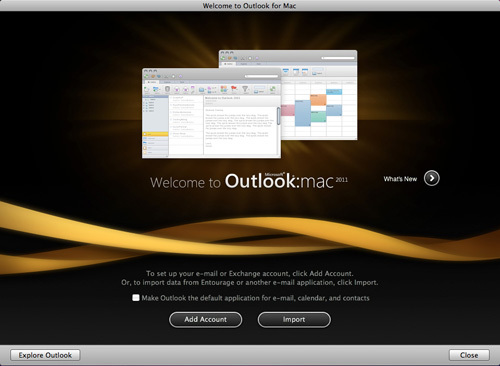 Note Launch Microsoft Outlook 2011 to begin setup. Click the Exchange Account button. 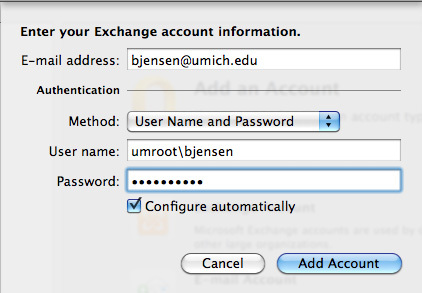 Type your email address, uniqname preceeded by "UMROOT\", and Exchange password. Uncheck the Configure automatically check box. In the Server box, type exchange.umich.edu. Click Add Account. In the Account description box, type a name for this account. In the left menu, select the mailbox you created for Exchange. In this example, it is Umich. 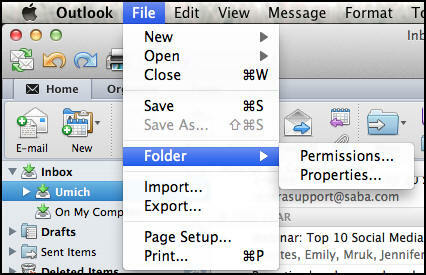 From the File menu, select Folder and then Folder Properties.